The GlobalTop Firefly X1 GNSS module. GlobalTop Technology has launched FireFly X1, a tiny Mediatek-based multi-GNSS module. 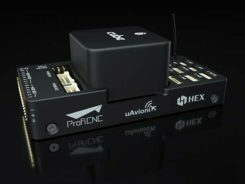 With a compact size of 9.0 x 9.5 x 2.1 millimeters, it’s one of the smallest multi-GNSS modules in the industry, the company said. According to Khan, the FireFly X1 was designed with “sophisticated engineering and an entirely new set of ultra-compact quality components to reach this miniature size, while adding more features and interfaces at the same time.” It uses the latest MT3333 engine with full support for GPS, QZSS, GLONASS and BeiDou, and is Galileo ready. 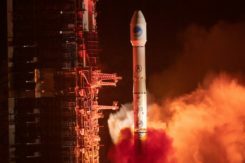 Tracking of up to two constellations simultaneously, and relying on the latest Mediatek ﬁrmware, it can provide positioning accuracy of up to 1.8 m CEP. Enabling EASY (self-generated orbit prediction), AGPS (ephermis ﬁle injection) and SBAS further enhances position accuracy. Despite a smaller size, FireFly X1 incorporates a complete set of high-quality components, including TCXO, RTC Crystal, SMPS, SAW Filter and an additional LNA to provide reliable performance. FireFly X1 combines miniature size with ﬂexible multi-interface connectivity options such as SPI and I²C that can simplify a user’s design, and is designed for M2M devices relying on low-cost MCUs that offer limited serial interfaces. GlobalTop’s free customization service further expands the capability of FireFly X1 with features such as custom NMEA output sentence, distance calculation, geofencing, magnetic variation and last- position-retention. Advanced users can also customize the basic parameters of the module, including baud rate, update rate, internal logger settings, DGPS mode, 3D Fix, 1 PPS timing, and more. All modules are produced at GlobalTop’s in-house ISO 9001:2008 certiﬁed manufacturing facility, with 100 percent unit testing and complete quality control, allowing for a consistent annual yield rate of 99.98 percent. Samples and Evaluation Kits for FireFly X1 are now available. Please contact us or your local distributor for more information.